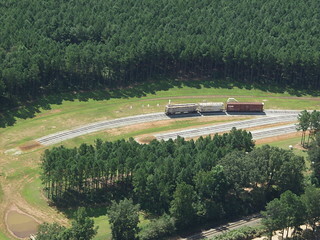 A spur off of the Norfolk Southern main line on the GPSTC property allows railroads to drive various cars on campus for conducting rail safety, HAZMAT, incident management, and grade crossing courses. GPSTC continues to explore partnerships to help offer additional rail and train safety training. Currently, GPSTC offers Grade Crossing and Collision Investigation, which prepares officers to apply appropriate investigative and evidence collection techniques that are unique to train/vehicle collisions.